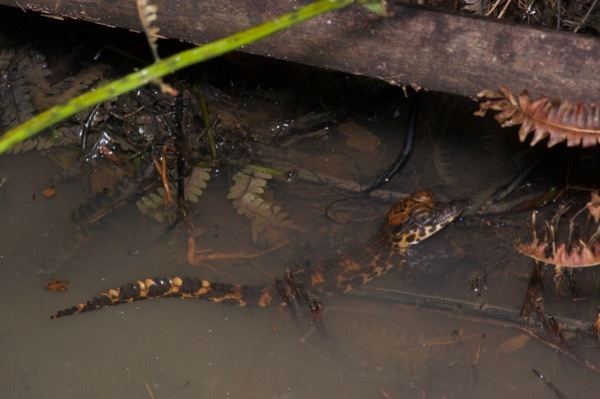 We had been told in advance that we were likely to see dwarf crocodiles when we reached the swampy pond habitat in Atewa Range Forest Reserve, but we did not expect to see them in the relatively dry forest at Bobiri. There was a riverbed maybe 100 yards away, but the riverbed was devoid of actual water. 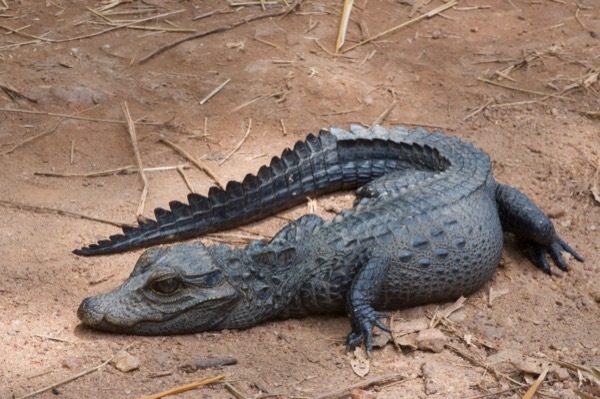 This pleasantly chubby manageably-sized crocodilian was a foot or two off the dirt road when spotted. It was grabbed and brought to the middle of the puddly dirt road for some photos. 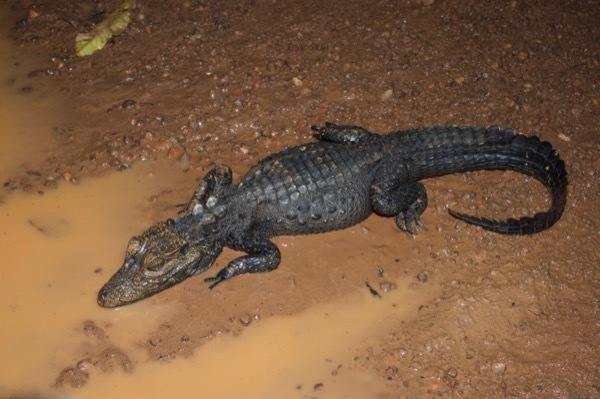 Unbeknownst to me, some time later that evening someone had captured this crocodile and detained it overnight. Kurt and I happened to be returning from a morning hike when we encountered the detainers releasing the detainee, so we took a few daylight photos. 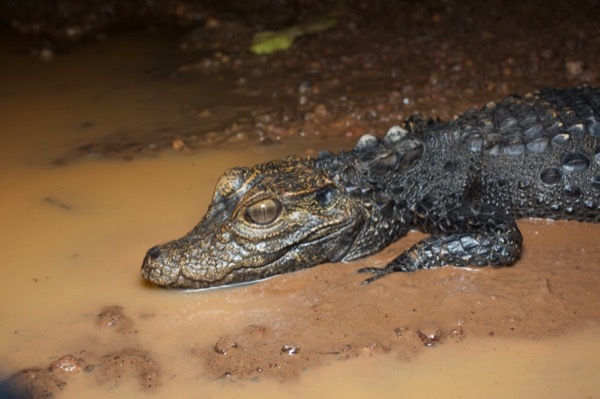 When we eventually made it to the swampy pond habitat, we were happy to discover that the rumors of dwarf crocodiles there had been justified. We didn't see any more adults, but we found a bunch of babies. 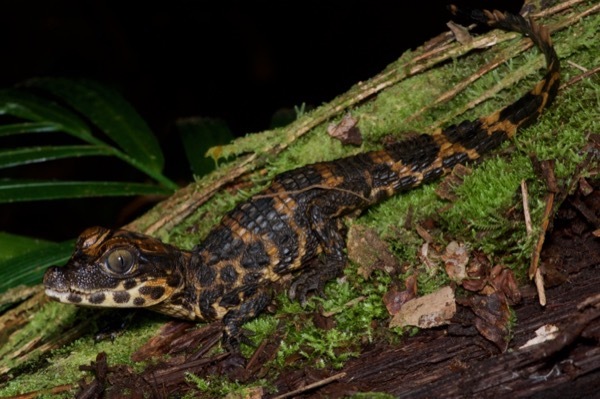 And few reptiles are cuter than baby dwarf crocodiles.